To celebrate our awesome $100 winner’s choice Mission Giveaway this week, we’ll be giving away a beauty sample box today only! The box of samples will contain a variety of beauty items. 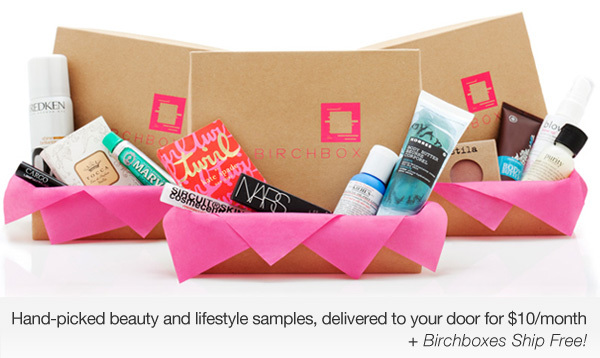 These are items we have received ourself from Birchbox, but not a specific box. This is in no way sponsored by Birchbox. You will be able to specify male or female if you win. Giveaway is open to US and Canada, 18 years of age and older. Giveaway ends January 2, 2012 at 11:59 pm EST. Enter to win via the entry form below. Good luck! ABSOLUTELY LOVE FLASH GIVEAWAY….NOW IF ONLY I COULD ACTUALLY WIN ONE!!! Brichbox is and has been my favorite to try different products. No nonsense tights and leggings at your local food and drug stores as well as mass retail stores. The leggings are comfortable and have different colors and styles! The tights are affordable. The tights comes in wide ranges different styles and colors. comfort is the most impressive feature. Leggins just look great under any top & they’re fashionable. You just can’t go wrong with them!! !